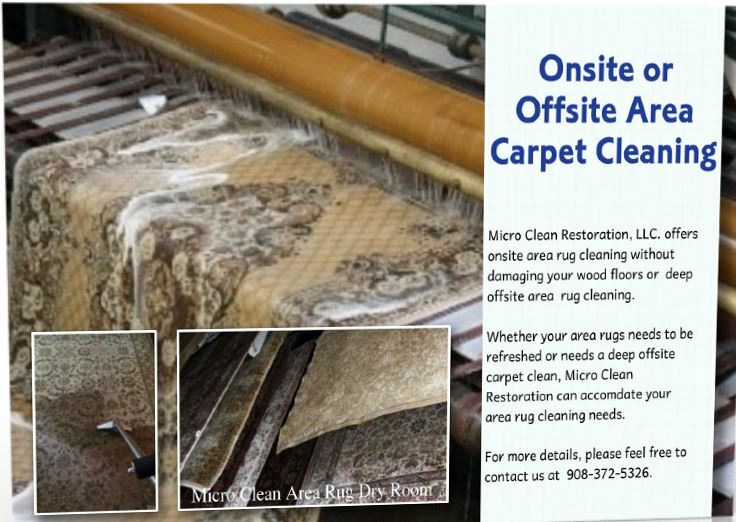 Micro Clean Restoration cleans all types of rugs onsite or offsite, such as oriental rugs and delicate handwoven area rugs. If we clean your rugs onsite, we safely clean them onsite-in place without damaging your wood floors or tiled floors. After testing your area rug, we will steam or dry clean you area in place without compromising your wood, tile, or stone floors. One of our rug technicians will come to your home to discuss and document your the cleaning of your area rug(s). We take pictures of your area rug(s) and log them onsite into our rug cleaning software. Our technicians will carefully move all furniture to access your area rug (s). Some restrictions may apply. Take your area rug back to our cleaning plant. After testing your area rug, we vibrate to remove soil, shampoo and sanitize your rug; after which, we place your any special drying chamber. We will roll thick paper around your area rug in order to your area rug. Our technicians will move all furniture in order to maliciously center your back in your room. Move all furniture back in place. The Inspection is free, and there’s no obligation. I come out in uniform and I treat your home the way I would like others to treat my own home. Isn’t this what you are looking for from a professional cleaning company. Call us today for your free inspection at 770-272-5326. I look forward to meeting you.